Harry Redknapp is best known for his career managing some of the UK’s biggest clubs including West Ham United , Tottenham Hotspur and Southampton . 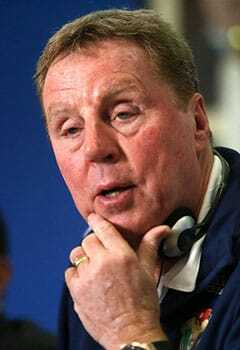 His first managerial position came with one of his former clubs, A.F.C Bournemouth , but Harry is perhaps best remembered for his four-year spell at Tottenham Hotspur which began in 2008. He helped them break into the top four in 2010, putting them back into the Champions League . He also had spells at Portsmouth, West Ham and Southampton and can now be found giving his insight as a pundit on a range of football coverage. 1965 - Makes debut for West Ham United . 1972 - Signs for Bournemouth. 1976 - Travels to USA to play for Seattle Sounders . 1982 - Retires from playing football at Bournemouth and becomes the team's manager. 1984 - Helps Bournemouth defeat Manchester United 2-0, one of the biggest FA Cup shocks. 1994 - Appointed manager of West Ham United . 2002 - Becomes manager of Portsmouth. 2003 - Promoted to Premier League with Portsmouth. 2004 - Takes over at Southampton. 2005 - Returns to Portsmouth. 2008 - Wins the FA Cup with Portsmouth. 2008 - Is appointed the manager of Tottenham Hotspur . 2012 - Departs Tottenham and becomes manager of QPR in the same year. 2016 - Takes charge of his first international team - Jordan. 2017 - Manages Birmingham City . 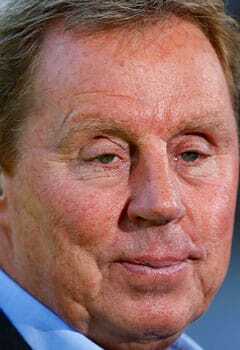 A self-confessed football enthusiast, Harry Redknapp has made a big impact in the game as both a player and manager. Growing up in east London, Harry came through the West Ham academy, making his debut in midfield in 1965. His playing career saw him have spells at Bournemouth, Brentford and in the USA with Seattle Sounders and Phoenix Fire . He retired as a player with Bournemouth in 1982, becoming the team’s coach but was quickly thrust into the limelight being made manager in 1983. In 1994 he took charge of former club West Ham United before moving on to Portsmouth in 2002. He guided the club to promotion to the Premier League , the first time they had reached the top flight for 15 years. He briefly departed the club to join their south coast rivals Southampton in 2004, but was soon back at Fratton Park as the club had their most successful period in recent times. This included winning the FA Cup in 2008. 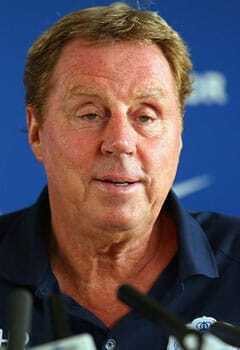 His achievements at Portsmouth saw him take over at Tottenham Hotspur in 2008. The North London club were languishing near the bottom of the table when he was appointed but he soon turned their fortunes around. In 2010 he guided the club to their highest ever Premier League finish, seeing them qualify for the Champions League for the first time since the 60s. This success saw many high-profile pundits declare that he should be made England manager, but the FA made the decision to appoint Roy Hodgson instead. 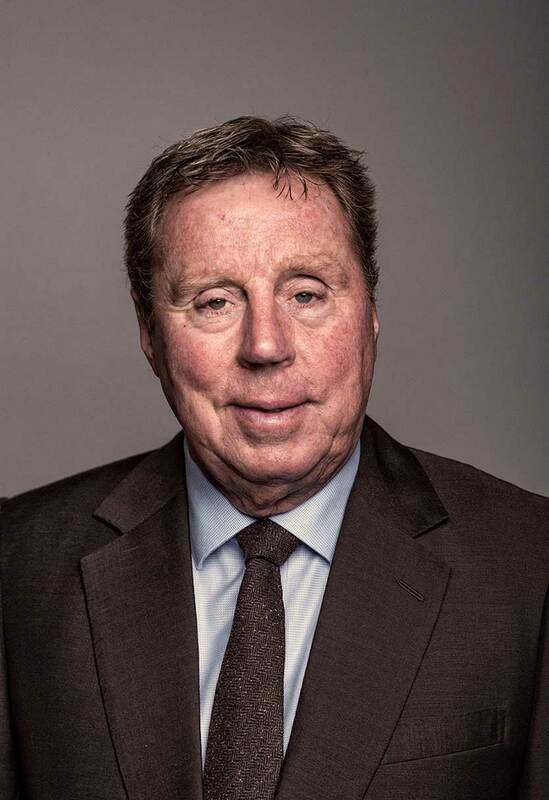 In 2012 he left Spurs but wasn’t unemployed for long, taking charge of QPR in the same year. He helped the club get promoted back to the Premier League at the first attempt. Since leaving QPR in 2015, he has managed the Jordan national team and championship side Birmingham City . He left Birmingham in 2017 and since then has regularly featured on football programmes offering his insight into football. Due to his vast footballing knowledge, during the 2012 European Championships , he wrote several blogs for bookmakers, Betsafe , on the tournament’s matches, giving readers an in-depth analysis into the goings-on. He has also produced video content for Betfair which received thousands of views. Harry has supported campaigns for Kia and Princess Cruises which have all received a boost due to his involvement.